Business address: Ibadan: 14, Rd 4, Omolayo B.Stop, Akobo, Ibadan, Oyo state, Nigeria. Lagos: 10, Tijani Alabi Street, Off Community Road, Ijegun-Ikotun, Lagos. J.B Akin Owen and Sons Enterprises have a specialization around rural agriculture development in Sub-Sahara Africa and also aim at bridging the supply deficit of premium agricultural produce/product with conjunction with rural farmers. Her thematic areas covers horticulture value chain development, rural community development center around vegetable production (through the use of Good agronomic practices GAPs and best modern practices) and marketing, women and youth empowerment through training and re-training in agribusiness, coaching and advisory services, farmers linkages to the markets and standardization of production. The organization also provides business support services meant to empower rural farmers with the aim of increasing their livelihood and standard of living. Purpose: To be a leader in agriculture sector in Nigeria by providing enhance services, relationship, support and profitability. Vision: To help in ensuring sustainable growth in rural agrarian communities in Nigeria through youth and women empowerment in horticulture/agriculture with the aim of assuring food security in Sub-Sahara Africa. Core Value: Our strength centers on treating our business partners and clients with respect and faith. We aim to grow with our partners/clients through innovation and creativity. We integrate honesty, integrity and business ethics into all aspects of our business functioning. 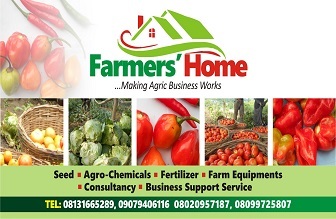 Create 20,000 networks of rural horticulture farmers in the next 5 years in Nigeria who produce solely for grocery stores, industrial up-takers and export markets with the use of semi and modern technology blends with local materials to achieve standardization. Directly trained a total number of 50,000 rural horticulture farmers in the next 5 years in agribusiness ensuring increase in their livelihood. 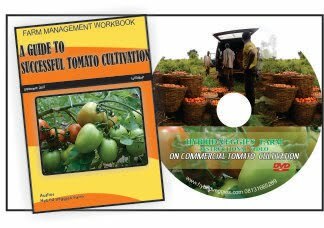 Become one of the leaders in Nigeria in the next 5 years in the use of greenhouse cultivation of veggies to supplement the supply deficit of premium produce to vegetable markets in Nigeria. The organization is presently self-financing through farming activities, consultancy services and grants from notable international bodies. We are working on inviting more than 3,000,000 dollars in the next 5 years through partners. Talabi Olufolajimi is a trainer, an agribusiness facilitator/Consultant and agribusiness coach with passion for excellence. He was trained in the field of agriculture from one of the most prestigious universities in Nigeria: Obafemi Awolowo University with a degree qualification among others including host of certificates from foreign institutes (including MITx) on business management and poverty eradication. He is also a certified agribusiness coach by ICRA. He has attended a number of trainings and workshops among which was SSP training of trainers by Crop-life Middle East/Africa. He is a certified trainer using Nigeria Agricultural Enterprise Curricula NAEC tools on agricultural business development and also a certified trainer by COLEACP on food safety & communication and training techniques (Basic + FTW method). In the last one year, the organization has reached over 2000 local vegetable farmers on IFDC-2SCALE Project on Vegetable Partnership project from over 30 rural communities in two different states in Nigeria by empowering them through the following activities: Formation of clusters which are made up of many farmers’ cooperatives and self-help groups and other value chain actors (both backward and forward actors) : Setting up of vegetable demonstration farms as training/learning centers where GAPs and modern best practices are made use of : Conducting marketing prospection/survey with the farmers to open new markets and marketing opportunities : Gender equality stakeholders’ meeting over land accessibility and ease of labour hiring for rural women-farmers : Coaching on business development : Training on proper use of agrochemicals, fertilizers and importance of ISFM and IPM to increase yield at lowest possible price : Development of strategy of synchronization of farming activities at community levels involving pool purchase of inputs follow by pool supply of produce to reduce cost. The organization has also trained in 2016 over 500 local leafy vegetable farmers through BATFN (ADI Project) (as a Sub-Contract) in Ibadan on benefit of diversification with sole benefit of ensuring increased yet sustainable income through the cultivation and marketing of both hybrid fruits/leafy vegetables. This involves setting up of demonstration plot as learning center and adoption rate is well over 20% so far. The organization has also trained over 100 persons from youths’ and women’ groups this year (2016) alone on agribusiness in many locations in Southwest Nigeria.